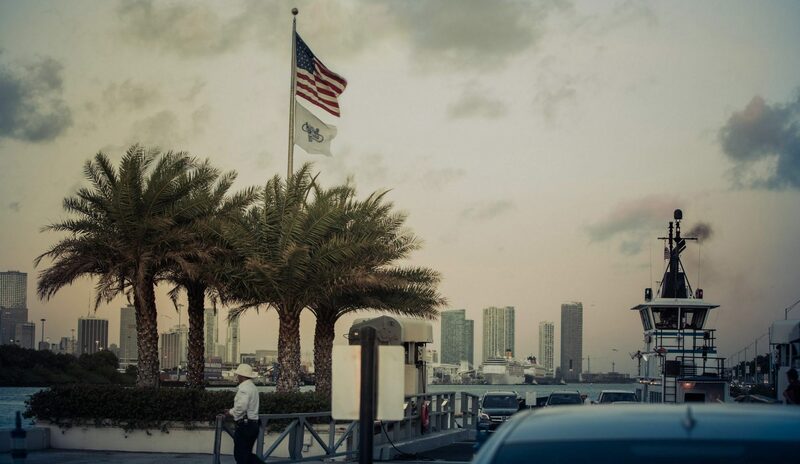 Securing the privacy, safety and welfare of residents is a top priority on Fisher Island. To that end, transportation to Fisher Island is regulated and monitored by means of private yacht or auto-ferry. The identity of anyone boarding the ferry to access the island is verified by security officers, and residents are provided a designated priority lane for ease of access. Fisher Island’s ferries accommodate passenger vehicles and continually depart from the island and access point located on MacArthur Causeway for the convenient 7-and-a-half-minute ride, 365 days a year. Residents can also walk onto the ferry and access the designated residents-only pedestrian cabin lounge. Courtesy golf cart shuttles to any point on the island are offered to residents, and an off-island parking lot and trolley is provided for employees. The Fisher Island Public Safety Department is a multi-function department employing officers with security experience in both the private and public sectors. Trained security officers man strategic posts throughout the island, 24 hours a day, 7 days a week. The Fisher Island fire station and Emergency Medical Services station provide first aid and life-saving services 24 hours a day.